My first grader loves to teach me what she learns in class. Some days, it feels like she enthusiastically recites every second of every interaction with teachers and peers. As a lover of learning, I love re-learning through her. One day this past fall, dancing circles around me, she proudly and with so much excitement, unfurled stories about Jackie Robinson and Wilma Rudolph. My daughter extended one long breath to go on and on about the perseverance of Wilma Rudolph. She then inhaled, allowing for a short break, and proceeded to dedicate her next breath to sharing about the bravery of Jackie Robinson. I listened. I nodded in agreement and so she’d know in that moment, that I was her attentive student. And, as the student to my first grader enthusiastically teaching about the character and heroic traits of these two famous Americans, my listening was disrupted by my inner monologue. Yes, my first grader’s teachers intentionally normalize an inclusive American story. A few days later, during a playdate at our house, I overheard my first grader (who is multi-ethnic) and her best friend (who is white) playing pretend. Her bestie told her, ‘you should play the role of the black person because you are the only brown person in the room.’ I thought this was a funny observation due to the fact that they were the only two people in the room. From their conversation, I inferred that the black person did not have the premiere pretend role. But then my first grader made it the preferred role as she launched into a proclamation about the perseverance of Wilma Rudolph. My daughter was associating Black with perseverance, and the perseverance of Wilma Rudolph was something she would gladly portray—even if only for pretend! Knowing that children see color, and by first grade are mirroring social norms, I was not surprised that her friend casted my daughter in the role of a pretend Black person. Nor was I surprised that my daughter’s friend did not identify herself and her pretend character as white, as in our racialized society, white is considered the default and is rarely used as an adjective describing a person. But I was jolted by my daughter’s bravado. 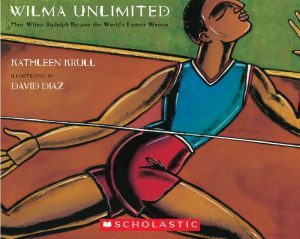 Though I was in a different room, a flight of stairs away, I could clearly hear the confidence and pride in my first grader’s voice as she, with authority, taught on the perseverance of Wilma Rudolph, who is a Black woman and an American hero. 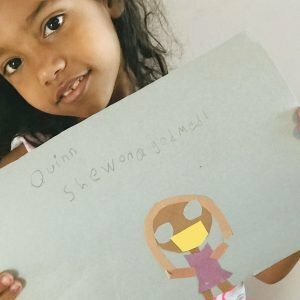 In my daughter’s mind, pretending to be a Black character meant portraying perseverance. Not meaning to eaves drop, I was at once advanced from my own first grade classroom where school lessons on heroes of color did not happen, nor did playdates in my home with white friends. My education on the contributions of Americans of color did not take place within the school walls where stories and lives are validated. Much like the people themselves, the stories and histories of Americans of color were marginalized. But now, I was caught in a moment of hope actualized. With a slow, deep inhale, I breathed in the reality that my children attend a school where teachers intentionally and audaciously have embraced the opportunity to broaden perspectives — their’s and their students’. I know that it takes will and work to enact the shift that fractures the fallacy of white supremacy laden in the omission of people of color from the American story. It takes a lot for teachers to teach content that is different than what they were taught or have traditionally taught. So with tears in my eyes, I penned words of gratitude to her teachers. I thanked them for inspiring my first grader to persevere. I thanked them for illustrating perseverance through the story of a Black woman. I thanked them for being conduits of hope, so that I was able to witness the stories and lives of Americans of color being centered within the school’s walls. And I thanked them for doing all of this beyond the month of February. Beyond February, a world of beautiful lives and histories awaits to reveal a more complete and inclusive American story.